It’s a dark and rainy day here in southern California. The weather is just perfect for bundling up in warm clothes and steeping some Camellia sinensis leaves in my new glass tea pot. When most people think of tea black or green tea usually comes to mind. But have you heard of or tried pu-erh tea? This is an ancient brew that differs slightly from black and green tea but is sometimes erroneously classified as being the same. If you’ve read yesterdays column about black tea/theaflavins and green tea, you may be wondering what this all means. Black tea is worthless in promoting heart health? Green tea appears more promising? And pu-erh tea looks like it might be the most beneficial of the bunch? That’s precisely the message I don’t want you to take away from this! The fact of the matter is that just about all of these studies have used different dosages and types of tea for varying durations of time. Many of the trials haven’t even used comparable products. Drinking 5 cups of green tea from the Munnar Tea Garden in India may not be equivalent to ingesting 5 cups of green tea from the Yunnan province in China. The dirty little secret about natural foods and supplements is that they can contain dramatically different levels of nutrients and phytochemicals based on how and where they’re grown. This is a very real complication that over-the-counter and prescription drugs do not have to contend with. The best way for us to improve the current state of natural medicine is to conduct more research. By this I don’t just mean the type of study that only scientists with lab coats oversee. I’m calling for consumers/patients to do their homework before buying and taking any supplements. I want supplement manufacturers to take the time to better understand how to formulate products that are more likely to work. Finally, it would be a welcome change if more conventional and naturopathic doctors relied on actual science when recommending or discouraging natural products to their patients. I can’t tell you how many times I’ve seen allopathic doctors mistakenly state that “there’s no scientific evidence that shows that ‘such and such’ is beneficial”. At the same time, I often come into contact with holistic physicians who prescribe natural remedies that are unlikely to help and/or aren’t clinically or scientifically validated. Change needs to come from every player on the health care field. Here’s my three part suggestion about how to practically change this dynamic in our favor. First and foremost, inform yourself and don’t be afraid to ask your health team appropriate questions. The second step is to help educate your doctors about what they don’t know. Even the finest physicians need assistance with this and, in all likelihood, you have more interest and time to do this than they do. Finally, contact supplement manufacturers and let them know what you like and don’t like about how they conduct business. Use your hard earned money to support the good guys out there who are actually trying to help people and present their products in an ethical manner. I suspect that meaningful change in this arena will probably only happen on a grassroots level. So let’s stir things up by using our curiosity and intellect to start our own peaceful revolution. It may very well save lives. You are right, the industry will not move forward until medical opinions on supplements become less polar! Many physicans see no medical benefit in natural therapies, and the few who have come around have jumped on the train without being selective as to which nutraceuticals are actually safe and effective. It is crucial that medical professionals have a scientific understanding of natural therapies and I am hoping this will happen sooner than later! Until then, I am hoping that people will take advantage of the guidance and recommendations that I have posted on http://www.FDNHhealth.com I have spent 10 years researching natural therapies and seeing their tremendous benefit firsthand with my patients. However, it is time to spread the word beyond my small NC coastal town, thus my new website! As always, thanks for doing your part to spread the word, JP! nice nice article! i will try yellow tea, shall be good. can you please send me some sun? last night was the coldest night of the (very new ) year! -15°C! You’re setting a great example for the rest of the docs out there! I’ll have a word with the Sun and see what I can do, Nina! In the meantime, bundle up and keep drinking tea! I love Pu-Er tea and any Chinese black teas… I prefer them over the western teas and the gross fruity teas. Thanks for sharing your preference. I mostly drink organic white tea. But I think I’ll experiment with Pu-erh next. I find that embracing variety really helps me keep my diet and health routine both interesting and sustainable. Chin J Integr Med. 2011 Jul;17(7):492-8. 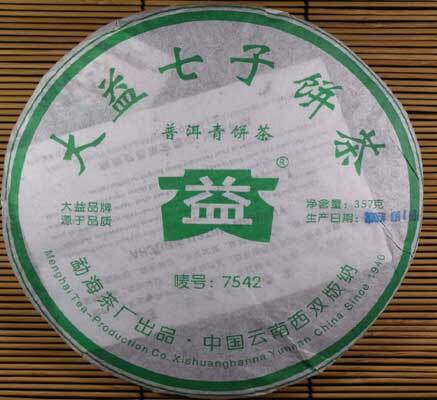 OBJECTIVE: To explore the regulative efficacy of Pu’er tea () extract on metabolic syndrome. METHODS: Ninety patients with metabolic syndrome were randomly divided into two groups, the intervention group administered with Pu’er tea extract, and the placebo group with placebo capsules. After 3 months’ treatment, body mass index, waist hip ratio, blood lipids, blood sugar, immune and inflammatory index, and oxidation index of the patients with metabolic syndrome were tested and analyzed. RESULTS: In the intervention group, the body mass index, waist-hip ratio, fasting and 2 h postprandial blood glucose, serum total cholesterol, triglycerides, low density lipoprotein and apolipoprotein B-100 all decreased in the patients with metabolic syndrome, and also the high-density lipoprotein level increased and apolipoprotein A-1 showed the tendency to increase. Serum C-reactive protein, tumor necrosis factor-α, and interleukin-6 were decreased in the intervention group. Interleukin-10 level was increased, MDA was decreased and superoxide dismutase was increased. Compared with before treatment and the placebo group, there were significant differences (P<0.05, P<0.01). CONCLUSIONS: Pu’er tea demonstrated excellent potential in improving central obesity, adjusting blood lipid, lowering blood sugar, regulating immunity and resisting oxidation. It can adjust the metabolic syndrome of different clinical phenotypes to different degrees, and is ideally fit for early prevention of metabolic syndrome.